We, the N.E.О.PEOPLE, trust in the supreme human order in the universe and consider ourselves a part of it. We know, that GOD/FORCE/ORDER/LAW manifests itself in two integral components of our existence: the Spiritual and the Physical/Material. N.E.О.PEOPLE embody the basis of peace and equilibrium. We are for awareness, for a way towards creation, for balance. We create our lives ourselves with our own thoughts. Thus, we have everything we want, otherwise we take the responsibility and do not blame anyone if we do not have what we want. N.E.О.PEOPLE live consciously! Our efforts, dreams and actions are coordinated with the global and planetary changes, which ensure bright present for ourselves, our children and grandchildren. Uniting N.E.О.PEOPLE all over the planet, finding N.E.О.Leaders who will guide us towards changes for the better. With their support searching, finding and bringing to life new solutions in spiritual and material areas of our well-being for the progress of the humankind. UNITE N.E.О.PEOPLE, N.E.О.Leaders and sympathizers around the N.E.О.Idea. INSPIRE N.E.О.PEOPLE and N.E.О.Leaders: ensure that they are not afraid to make their dreams come true! When you change your life to the better, we will be by your side to offer trust and support! 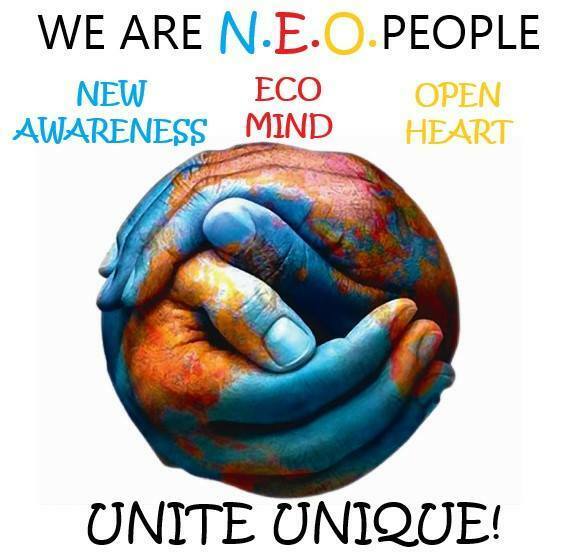 N.E.O.PEOPLE from all over the planet will see and follow this website like the LIGHTHOUSE that connects like a BRIDGE two for now separated worlds: the spiritual and the material, in order to find the BALANCE of a harmonious life!